Founded in 1967, Dataram Corporation is a recognized worldwide leader in the manufacture of high-quality server memory and software products. Our primary focus is to deliver measurable value to our customers through the introduction and deployment of solutions which optimize data center and application performance, while at the same time delivering significant cost savings. Our goal and objective in engaging with your company is to deliver these benefits and cost reductions in a timely and transparent way to your business. To deliver solutions that improve the performance of our clients’ computing environment, lower their total cost of ownership and leverage their investment in technology. Dataram is committed to delivering a superior customer experience by offering innovative products and exceptional services that provide the foundation for growth in shareholder value. Dataram provides compatible server memory for leading brands including HP, IBM, Lenovo, Sun Microsystems, Dell, Cisco, Fujitsu, Intel and AMD. Finding the best memory configuration and upgrade for your system is just a few clicks away with our Memory Selector. As a pioneer in leading-edge server memory solutions, Dataram offers a world-class suite of services to meet your every need. We are committed to providing comprehensive service and support to all of our customers as long as you own our memory products. Dataram offers high-quality companion software products designed to leverage your investment in technology while optimizing the performance of your data center and application suite. Dataram is your strategic business partner in optimizing performance in your data center and introducing measurable reductions in expenses. Our memory products have been proven to be reliable under our stringent ISO 9001 quality tracking metrics. Dataram Guardian is a reflection of the confidence we have in the reliability of our compatible memory products. This unique integrated service, support and warranty program provides a complete package of coverage for your memory. In the unlikely event of a memory-related outage, Dataram Guardian provides you with the assurance that your problem will be resolved quickly and efficiently. Lifetime Warranty – Dataram Corporation warrants that our server memory upgrades will be free from defects in material and workmanship and conform to the manufacturer's specifications for the computer in which they are originally installed. Service – Dataram’s service program provides you with a wide range of choices that can be customized to fit the needs of your company. Service Call Reimbursement provides reimbursement for service call expenses related to Dataram memory. In the unlikely event of a memory failure, we will express ship an advance replacement to you. Support – If you’re looking for ways to extend your memory capacity or improve performance, our expert design engineers can assist you. We can customize a trade-in/trade-up quote for full or partial credit on your old memory, or you can try our memory for up to 60 days with no cost or obligation. Dataram’s support engineers can assist you with memory installation. 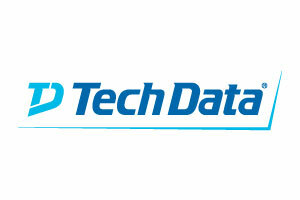 And direct technical support is always available to answer any question you may have – large or small. Critical Outage Reliability Insurance – This program provides a unique and comprehensive layer of additional protection in the event of an outage. Dataram will place spare parts at your site to ensure a fast response. For customers under agreements with service maintenance providers (including the original equipment manufacturer), Dataram can provide prepaid on-site service support for a specific number of ad-hoc service hours. Dataram will provide you with access to a server memory specialist at any time to work with you to resolve any critical outage for which Dataram memory has been identified as a possible source of the problem. Our memory specialist will work with you and any other service provider you designate to resolve your problem quickly – start to finish. Use our Memory Selector to determine the appropriate and compatible memory for your needs. After selecting your memory products, you can place them in a shopping cart. You then have the ability to REQUEST A PRICE QUOTATION and one of our team will respond.